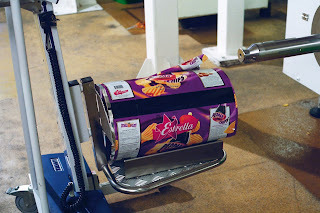 With efficient roll handling equipment, film rolls are easily mounted in the packing machine. 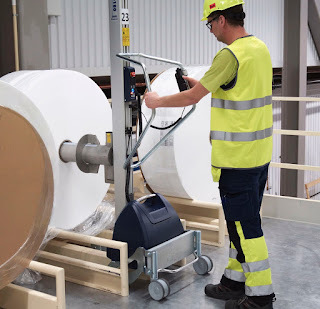 TAWI offers several innovative solutions for efficient roll handling. 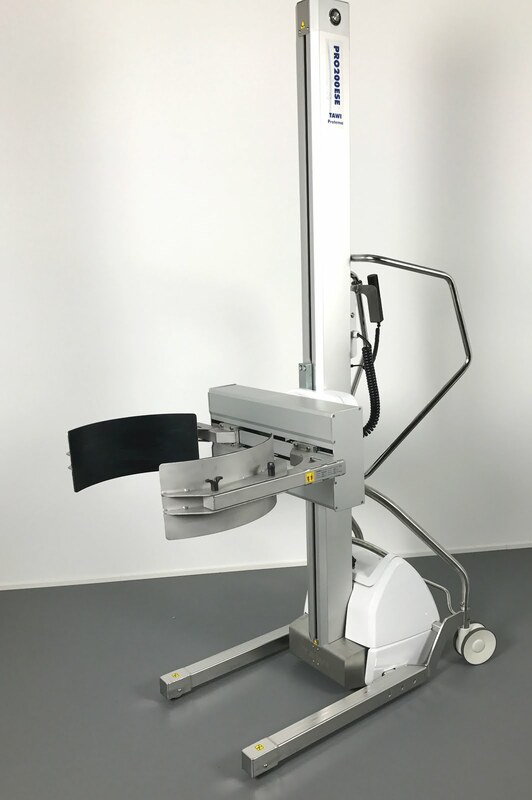 Our series of electric lifting trolleys can be combined with various tools for efficient roll handling. 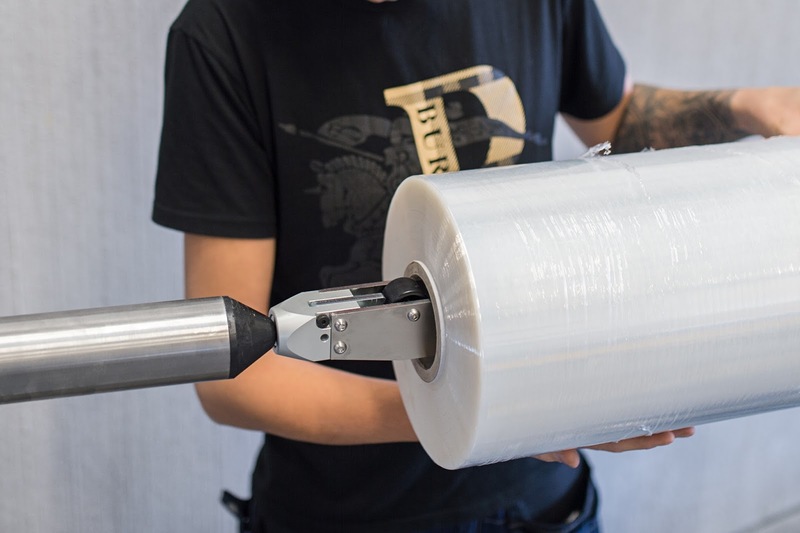 A Coregripper tool picks up the roll from a vertical position and turns it to horizontal position so that you can easily mount it on a machine axis. The roller boom seen in these photos also offer easy and ergonomic roll handling. 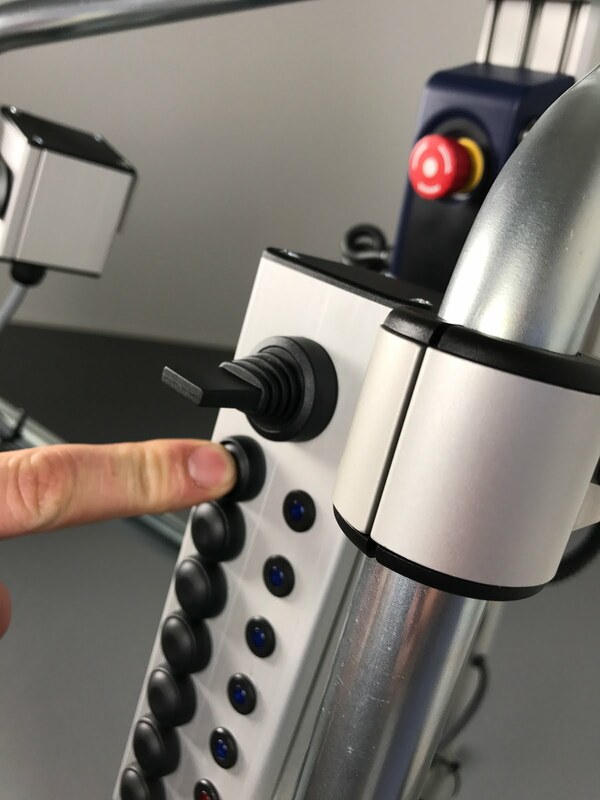 Combined with the innovative QuickLoad feature, the lifter will automatically stop at exactly the right position, allowing the user to easily push the roll over on the machine axis. That's what we call smart lifting. Ensure efficient roll handling in sensitive environments with our stainless steel lifters. 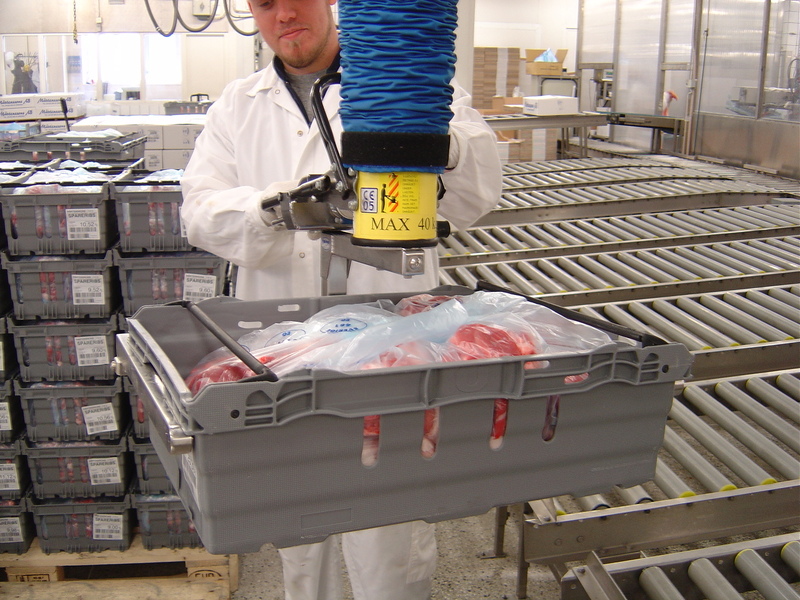 All TAWI electric lifters are available in stainless steel, ideal for food- and pharma industry. All our lifters and tools can be customized to meet your specific requirements. Contact us to learn more about our customized solutions. 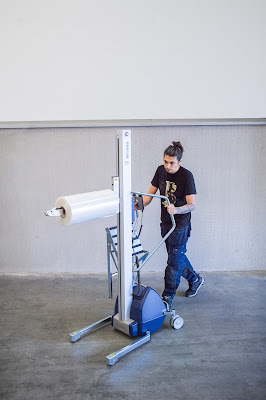 TAWI electric lifting trolleys can be used to handle much more than rolls. 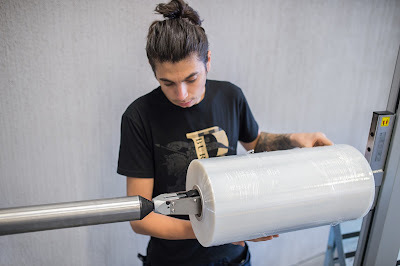 We offer tools for efficient handling of drums, crates and more. Learn more about the lifters here. 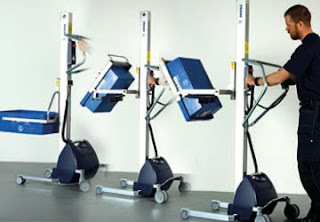 The lifting trolleys are equipped with ergonomic handles ensuring a good working position. 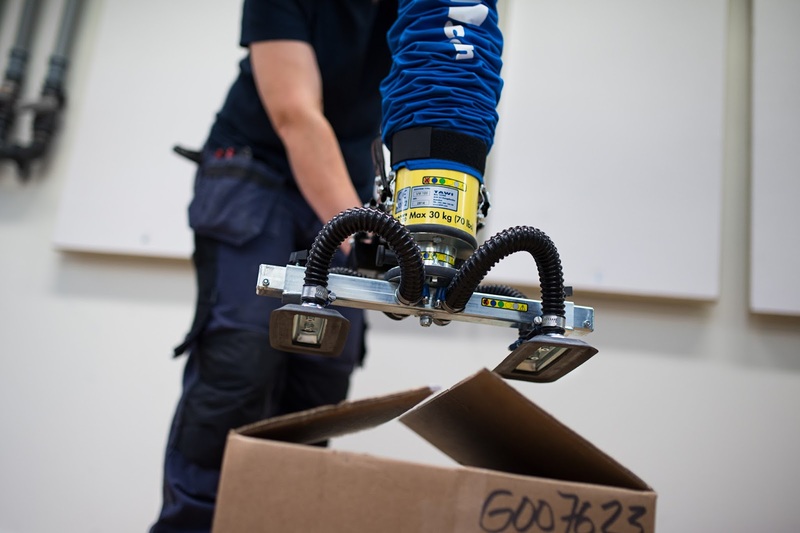 The tools are designed to support safe and ergonomic work, and to streamline the manual handling of goods. TAWI also offers vacuum lifters, hoists, and other ergonomic solutions for efficient and safe handling of goods. Read more about all our lifting equipment here. 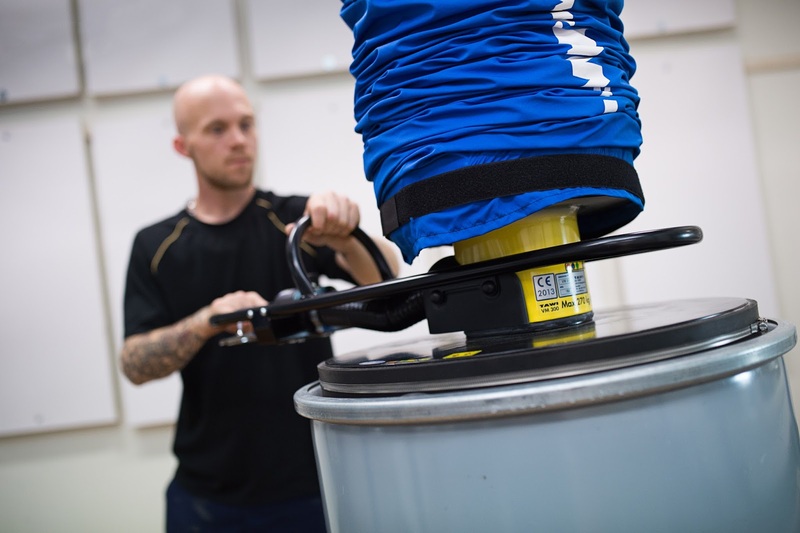 TAWI vacuum lifter lets you handle barrels, drums and other heavy loads with minimal effort. 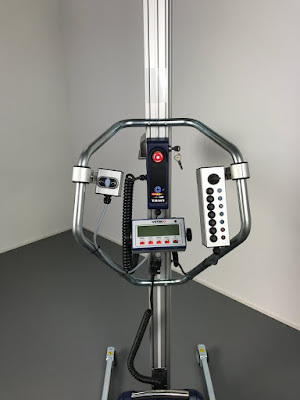 Efficient lifting solutions makes lifting easy, for anyone. By giving everyone the power to handle heavy loads, you increase flexibility and productivity in your business. 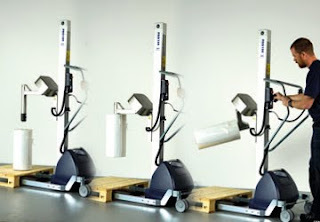 Our vacuum lifters makes lifting safe, easy and efficient. 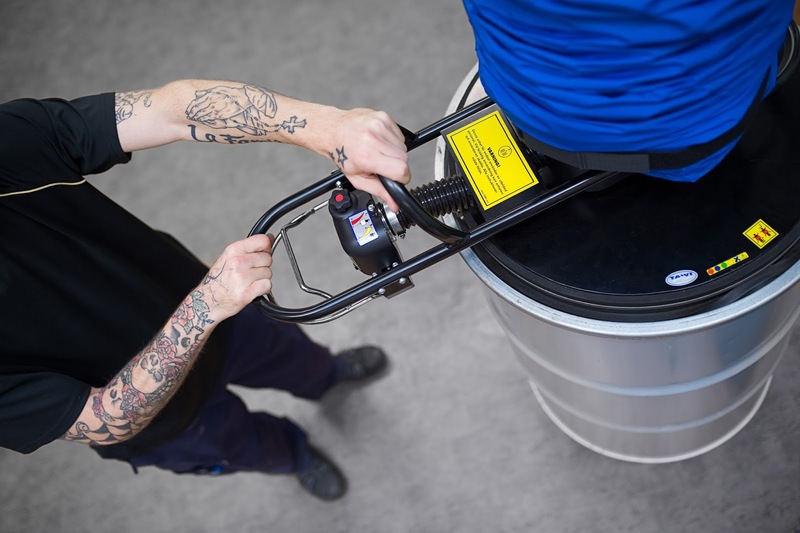 This vacuum lifter handles loads up to 270 kg and is easy to use, letting you lift and move barrels and drums safely with minimal effort. 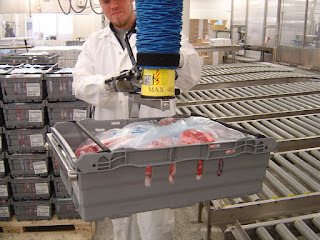 The vacuum lifter is a reliable tool for handling all types of goods. 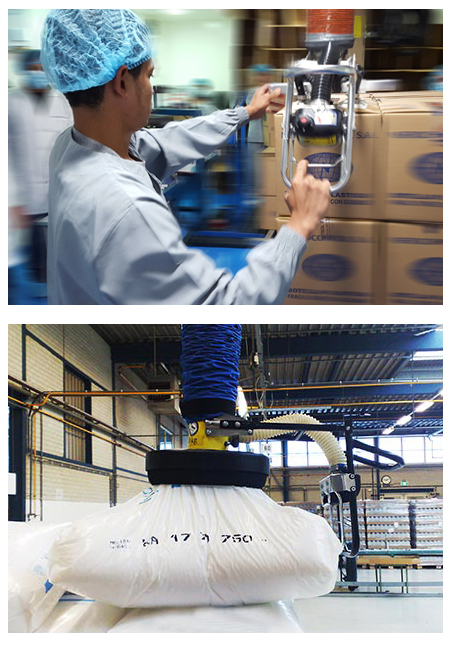 TAWI offers vacuum lifters for lifting boxes, bags, rolls, sheets and much more. 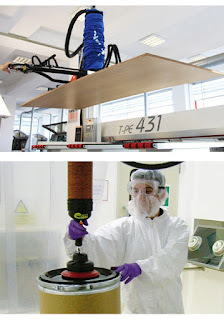 Read more about our lifting solutions here. TAWI offers lifting solutions for various industries. We make lifting easy in chemical industry, in mechanical manufacturing industries and in food production, just to mention a few. Our wide selection of lifting solutions that can be customized to meet your needs make lifting safe, efficient and easy. 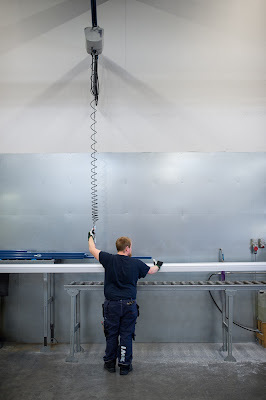 Contact us to learn more about our lifting solutions. Here's a great new solution for the food manufacturing industry. This mobile lifter is designed to handle and empty 150 kg barrels. Big, heavy barrels are easily lifted, transported and tilted with no physical effort for the operator. It is so easy anyone can do it! The stainless steel design makes this trolley ideal for use in sensitive environments like food production. 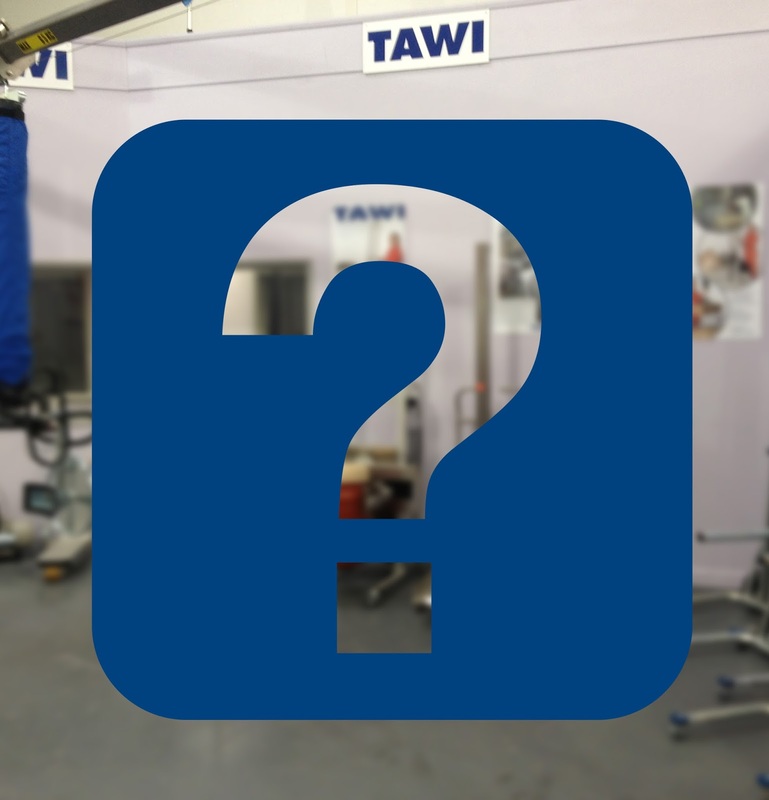 Read more about mobile lifters, or contact TAWI to learn more. Move free, quick and easy. 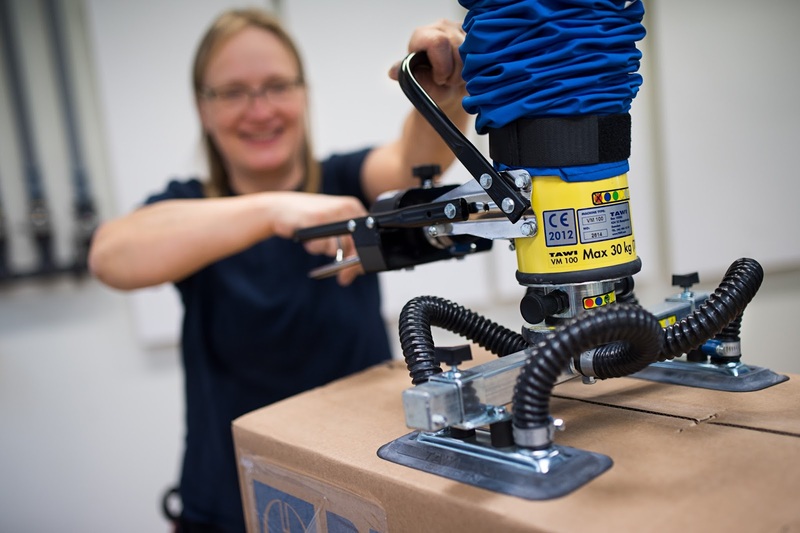 Stay efficient longer with smart material handling solutions! 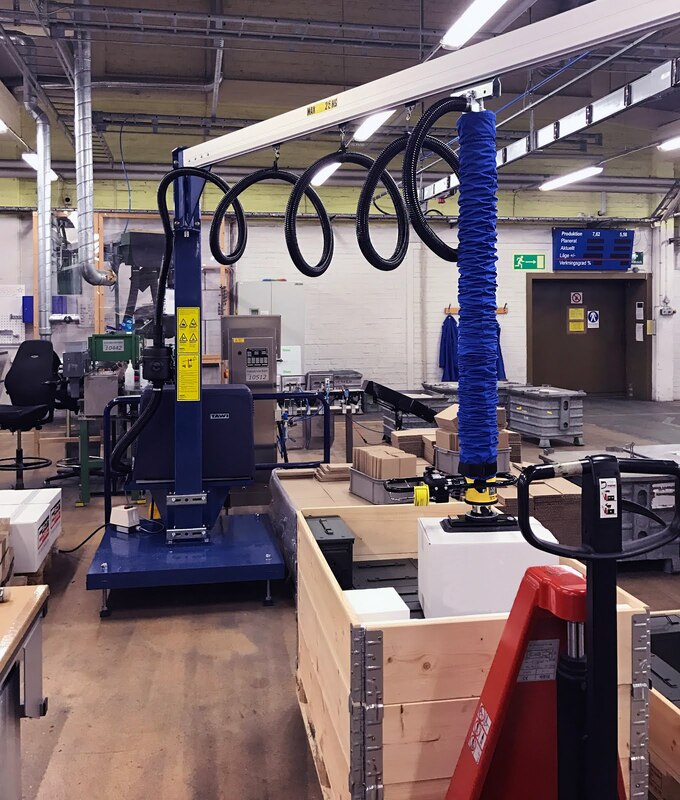 Here, the quick and user-friendly vacuum lifter VC50 is mounted in an articulated jib crane to provide optimal operational space. The operator easily picks up wooden sheets from a pallet and moves them over to the conveyor with minimal effort. The articulated jib arm gives him flexibility to move around as he controls the vacuum lifter with a simple one-hand grip. Contact us to learn more about this and other efficient material handling solutions. 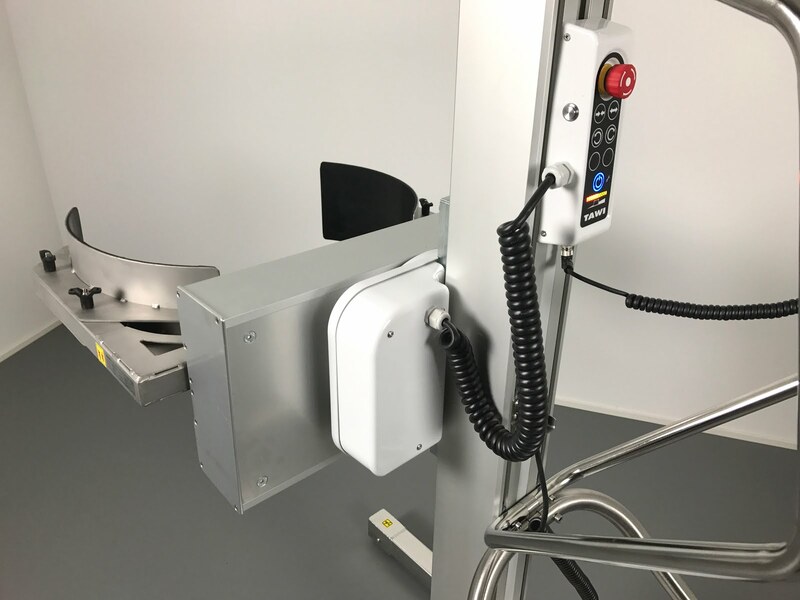 Today we're launching a new series of electric lifting trolleys for ergonomic handling of reels, drums, boxes, crates and more. Their modular construction allows for easy adaptation to varying needs and applications. The trolleys, handling goods up to 250 kg, streamline the handling of e.g. reels and drums, saving both money and resources while contributing to a safe and ergonomic work environment. Our electric lifting trolleys have helped create an efficient, ergonomic, and safe work environment in everything from food- to car manufacturing for decades. The new generation trolleys being launched today will contribute to further streamlining and improving ergonomics in industries worldwide. 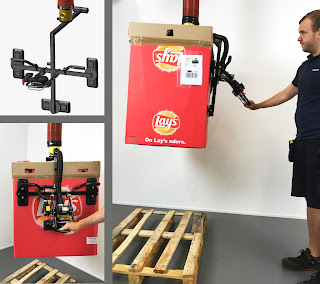 That's what we call smart lifting for efficient and ergonomic businesses! The global hygiene and forest products company SCA is one of our many happy customers. Their production unit in Falkenberg, Sweden was among the first to try the new ergonomic lifting trolleys. You can read more about their experience here. See the complete series of new electric lifting trolleys here. Handling car tyres can be hard and uncomfortable work; strenuous for back, shoulders and knees. Handling tyres for trucks or other large vehicles is even heavier. We have created a number of ergonomic solutions, relieving the strain of handling big and heavy tyres, making the work easy, effortless and safe. 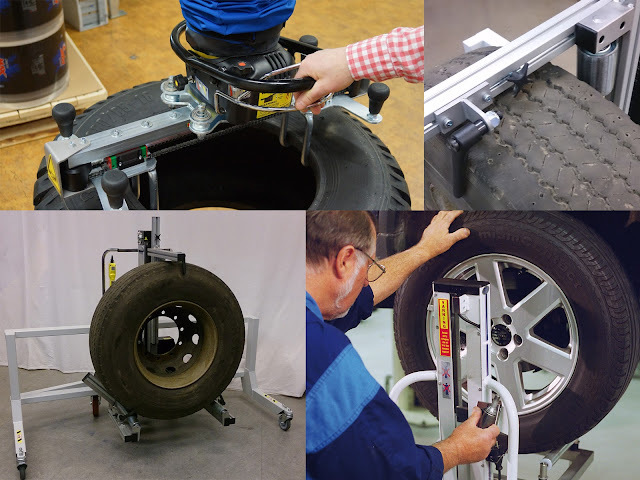 Our tools for normal car tyres and for big truck or tractor tyres make tyre handling more efficient, while saving workers from the strain of heavy manual handling. No matter if you prefer to work with a vacuum lift or an electric lifting trolley, we have the tools for you. Read more about our solutions for tyre handling, or contact TAWI to learn more. The investment fund SEB Private Equity Opportunity III has invested in TAWI Holding AB and is now the new majority shareholder. SEB PE invests behind TAWI's leading position in an attractive niche market within material handling and will continue to support TAWI on its impressive growth trajectory and further internationalize its operations. "We are convinced that SEB PE, with its heritage from being a part of SEB, provide valuable knowledge and expertise in enabling companies to expand globally and build robust organisations with focus on long-term values. SEB PE as a new owner will inject new energy to TAWI's already strong organisation and unique culture", says Leif Emblad, previous owner and member of the board of directors. "With its strong market position and unparalleled customization and solutions offering, TAWI is well positioned to further grow with new and existing customers and we strongly believe that SEB PE can offer the support needed to continue the company's growth story", says Magnus Ramström, Investment Director of SEB PE. "I am very impressed with TAWI's organisation; innovative technical development combined with a clear sales focus and entrepreneurial culture. I am thrilled to have the opportunity to work with yet another astounding example of Swedish exporting industrial company that has established itself as a market leader within a global niche market", says Christer Nilsson, new Chairman of the board of TAWI Holding AB. This solution consists of our versatile VacuEasylift vacuum lifter installed on a Lyftman underbraced jib crane with mobile bottom plate. A pump shelf for the vacuum pump has also been added to the column. The operators use this ergonomic system to lift various goods, such as boxes and batteries, from pallets. A mobile unit like this one offers great flexibility and can easily be transported for use at different locations. 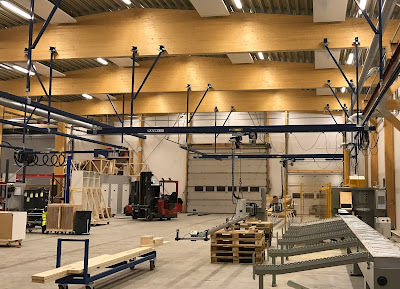 Click here for more information, images and videos about our Lyftman crane systems and jib cranes.